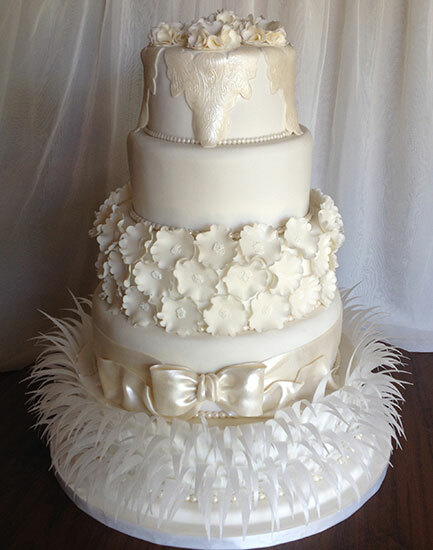 A majestic wedding cake of 5 tiers with individuality for a special bride looking only for the best. The bottom tier is covered in rice paper feathers which are edible along with all the rest of the decor. It's a hefty fruitcake which does need special care to move and transport.